HD Recording · DDD · Duration: 12 Min. 03 Sec. 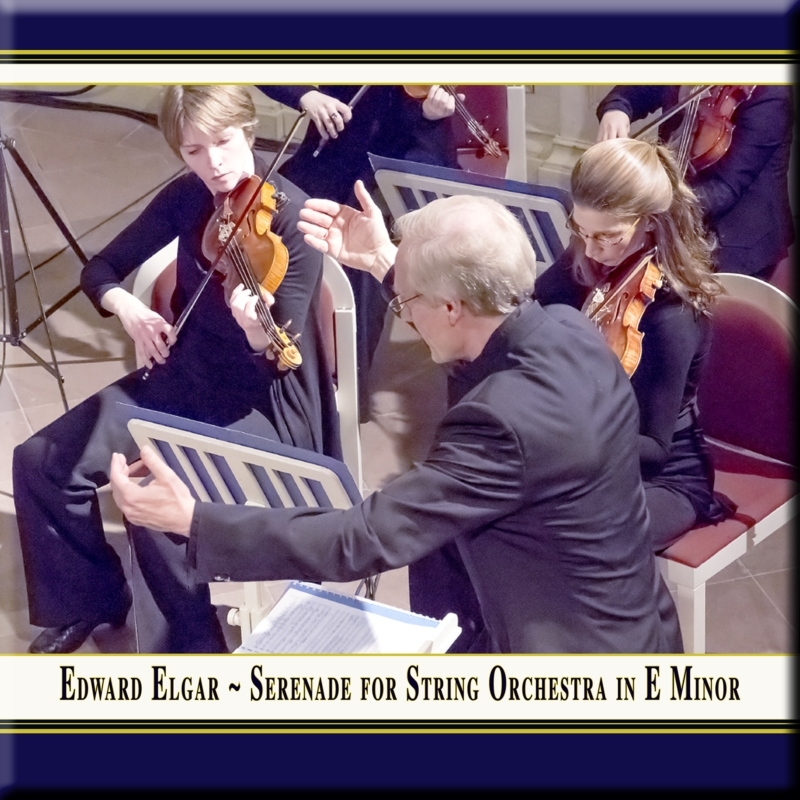 n music Edward Elgar was a "self made man", who first practiced the small form before gradually approaching the great musical genres. A milestone on this path was the extremely charming Serenade for String Orchestra Op. 20, which was composed in 1892. For this, Elgar probably fell back on a lost composition from 1888. It seems the immediate trigger for the final version of this work was the invitation of a friend to visit the "Bayreuth Festspiele". Elgar studied the creations of Richard Wagner intensively during his autodidactic studies and took up Wagner's opera "Parsifal", which left significant traces in this Serenade - the first composition with which he was fully satisfied. Apparently the publisher Novello, to whom he offered the composition, had a different opinion. Novello did not accept Elgar's offer with the reason, that this kind of music would practically unsaleable. Today this lovely three-part piece is one of the most performed works by the "Englishman", who became famous later with great compositions - not only with his best-known "Pomp & Circumstance March No. 1". he Church of the Bad Homburg Castle, dating back to the 17th century, is one of the most beautiful and intimate concert halls in Europe. Long forgotten, the turmoil of the 20th century passed it by, and it remained untouched until the 1980s. Then, upon the initiative of members of the local Rotary Club, the church and its majestic Buergy organ were restored true to the original and with a loving attention to detail. Today the Castle Church sparkles with a renewed radiance that is set off perfectly by the concert series "Castle Classics". he Mainz Chamber Orchestra had been founded in 1955 by Prof. Dr. Günter Kehr, who was leading it until his death in 1989. About 40 to 50 concerts were given all over the world every year and 130 LPs and CDs were produced, including numerous broadcast recordings. The musical performance of Günther Kehr had a great influence and set standards for his period. Feeling deeply obliged to this tradition, every musician within the orchestra was entrusted with challenging musical tasks, leading to the assemblage of many adepted soloists. Often, the interpretation of a piece is developed by the musicians themselves under the direction of a concertmaster. The musicians are generally not full-time members of a symphony orchestra, but rather members of chamber music associations. This allows the rehearsals being focused on working on specific chamber musically oriented problems. In doing so, a special kind of colleagueship accrued that shows itself in spontaneous, joyful musical interplay. About 20 CDs recorded in the last few years testify the orchestra’s exceptional standard. 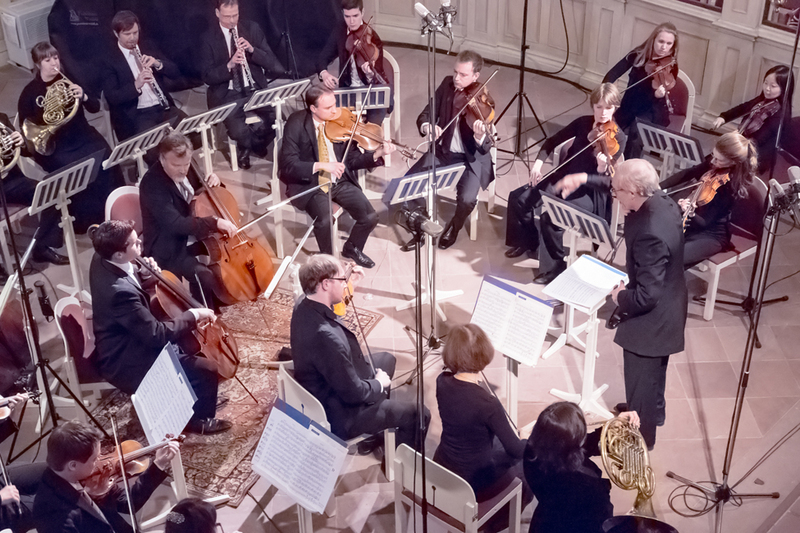 After Günther Kehr‘s death violinist Volker Müller honorarily resumed the musical conductorship of the Mainz Chamber Orchestra. Together with his wife, the flutist Renate Kehr, he preserves the artistic heritage of the orchestra and guides it towards new developments. rof. Gernot Schulz, internationally acclaimed conductor and, in the past, assistant to Leonard Bernstein and Sir Georg Solti, began his musical career as a percussionist with the Berliner Philharmoniker, as lecturer at the Herbert-von-Karajan-Akademie Berlin and as professor of music in Hamburg. Later, he studied conducting in Leipzig and was a prize-winner of the Competition of the German Conservatories. Following a spectacular debut with the Münchner Rundfunkorchester in 1996, Gernot Schulz has consistently appeared in subsequent seasons with esteemed orchestras throughout Europe, America and Asia. He conducted renowned orchestras such as the Chamber Orchestra of the Berliner Philharmoniker, the Orchester der Komischen Oper Berlin, the Staatskapelle Weimar, the Brandenburgisches Staatsorchester Frankfurt/Oder, the Budapest Philharmonics, the Czech National Orchestra, the National Orchestra of Taiwan. Additionally, Gernot Schulz has performed at festivals such as the Berliner Festwochen (premiering works by Hans Werner Henze, Günter Bialas, Wilhelm Killmayer and Michael Hamel), the Frankfurter Feste, the Schleswig-Holstein-Musik-Festival and the Kontrapunkte-Festival Salzburg. CD recordings were released on Sony Classical, Wergo and Ars Produktion.